We all know this signal. 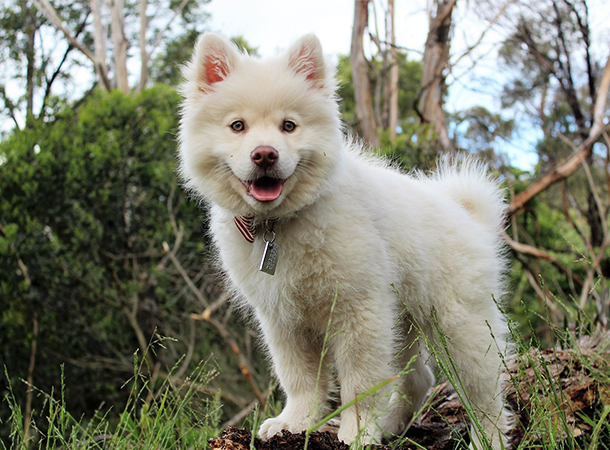 A dog is inviting you or other dogs to play. 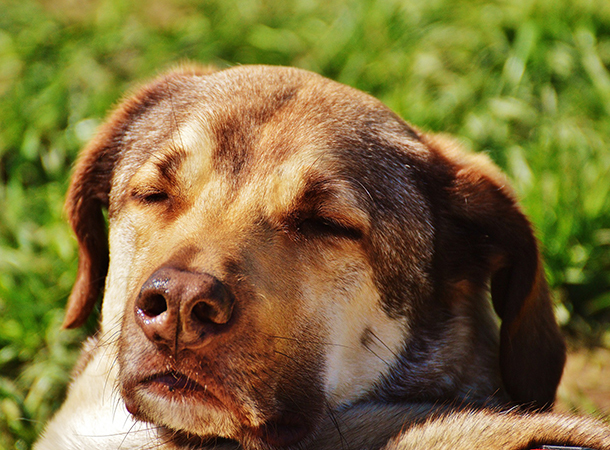 You can tell this dog is relaxed! 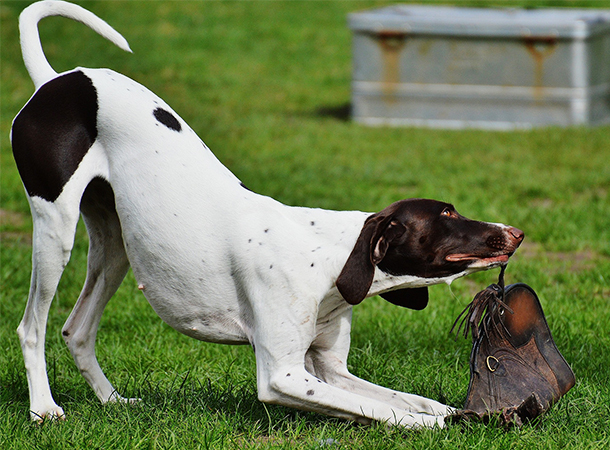 When playing, dogs move vertically, rocking back and forth like a rocking horse. 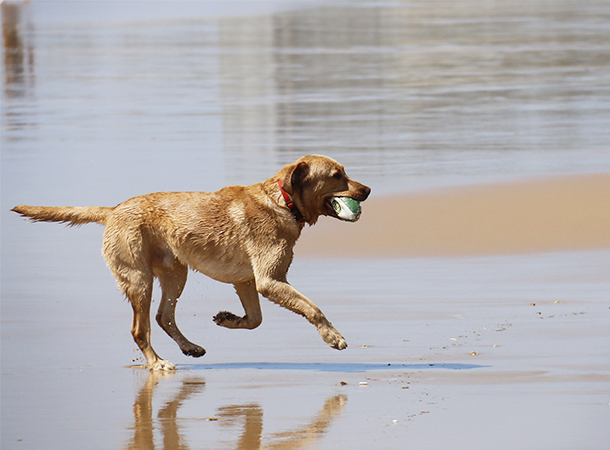 Have you seen your dog do this? 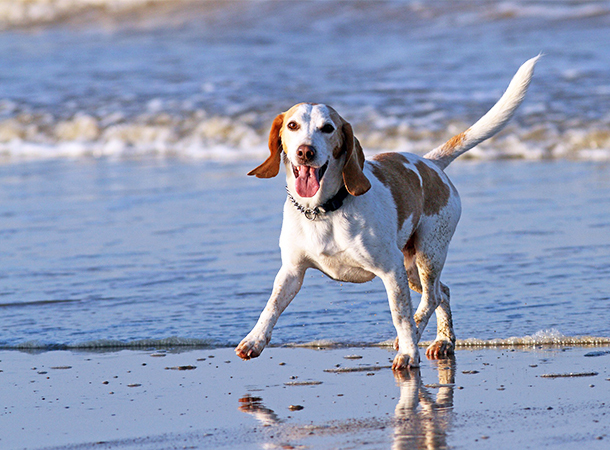 A tail wagging side-to-side or in a helicopter motion indicates a happy dog. A wiggly bottom does, too. Mouth ajar and tongue sticking out. 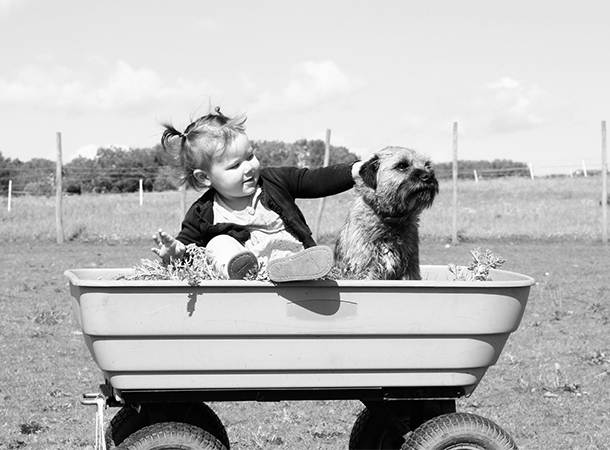 The dog in this photo is completely at ease, happy and relaxed. 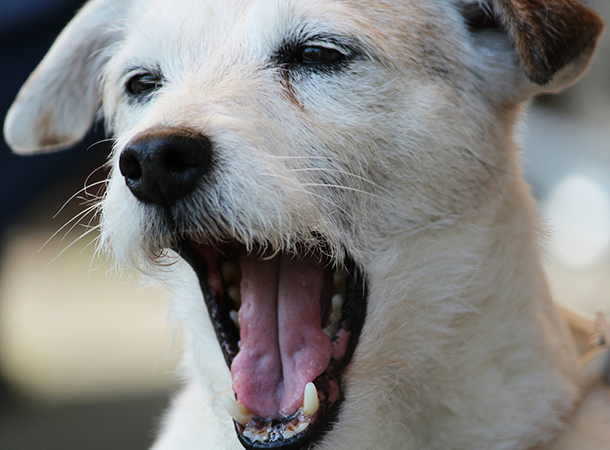 Though dogs do yawn when tired, they’re far more likely to do so when nervous. 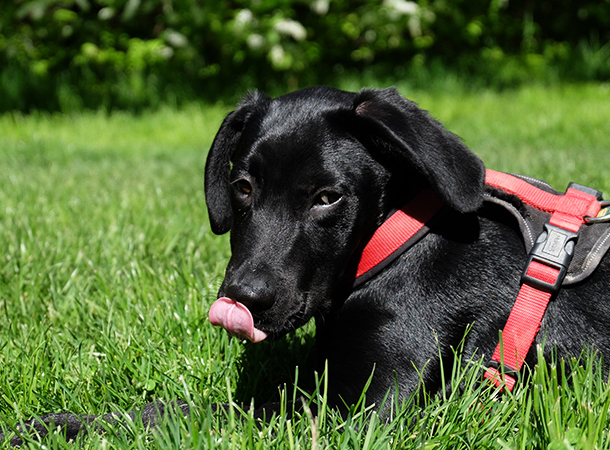 Dogs lick their lips or flick out their tongues when feeling nervous or stressed. 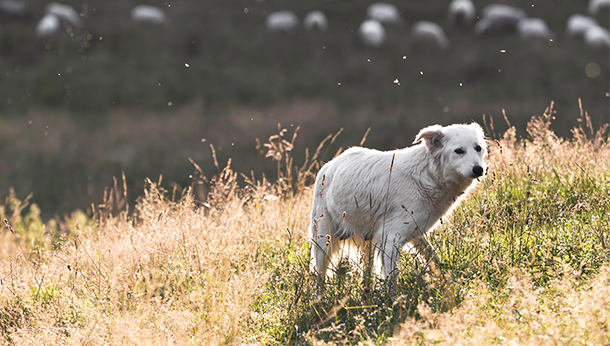 This is where the hackles – on the back of a dog’s neck – stand on end. 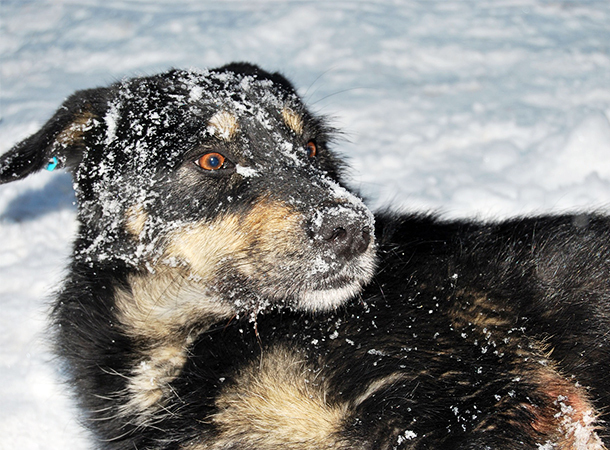 When threatened, dogs freeze their entire bodies. They do this either until a threat subsides, or very briefly whilst deciding to handle the situation via fight or flight. 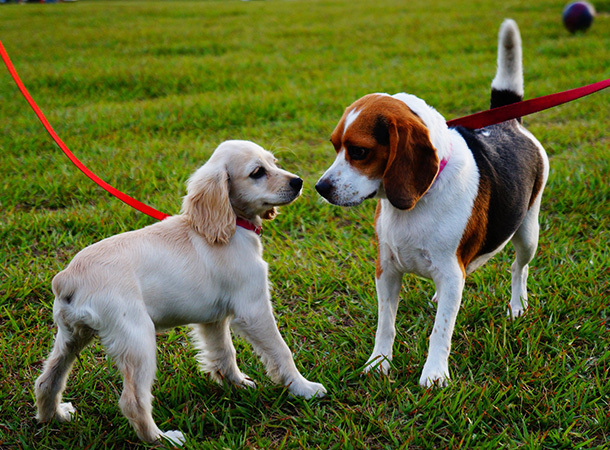 When feeling nervous, such as being approached in the park by another dog, a dog may pretend to sniff a particular area. This is called faffing: the dog’s way of avoiding an uncomfortable situation. 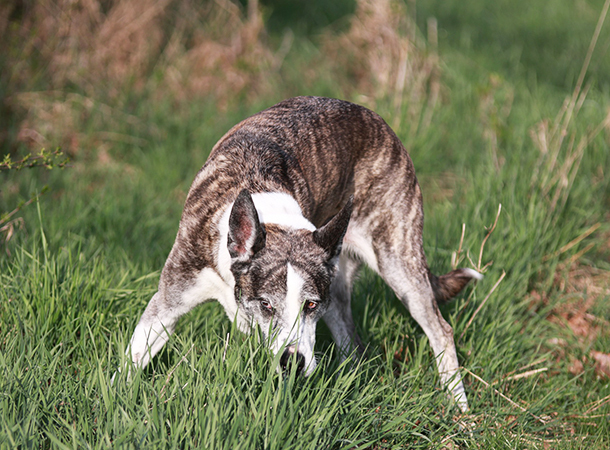 This is when a dog turns away from a possible threat but watches it from an angle, revealing the whites of his/her eyes. 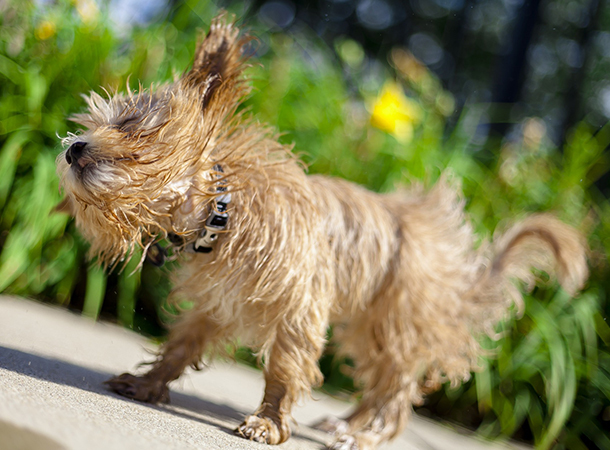 Dogs might shake when nervous to defer the situation. This is caused by the release of adrenaline. When this happens the dog is, in one way or another, preparing for action. 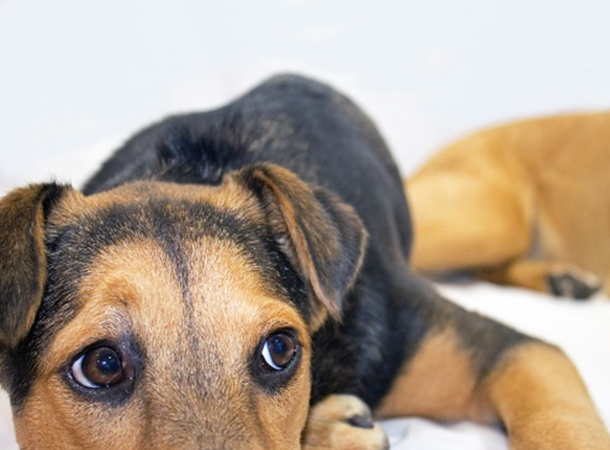 If your dog is in a fearful situation, they could turn away their head as a gesture of appeasement. Another indication that a dog is worried or fearful. Dogs pant when stressed. This is usually a dry sound as nervousness reduces saliva production. 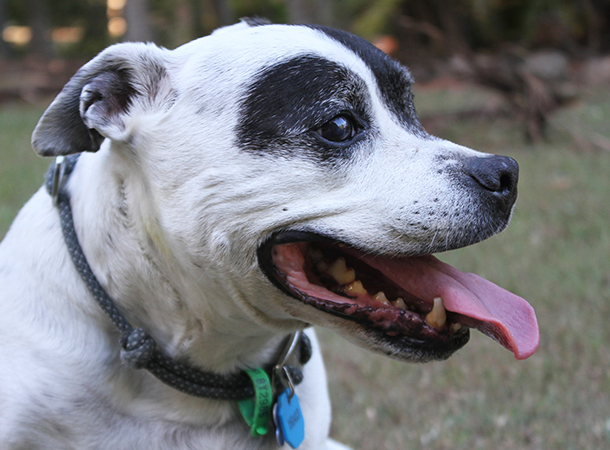 Learning to understand your dog’s body language can take time. Hopefully this post will help you recognise the most important signs. If you’re worried about any behaviour issues, please don’t hesitate to contact us for further details.